Attachment Elements – 2 Chest attachment textile loops and a Dorsal attachment D-Ring for Fall Arrest. 2 lateral D-Rings for Work Positioning. Adaptability – Adjustable shoulder, thigh-straps and waist belt. 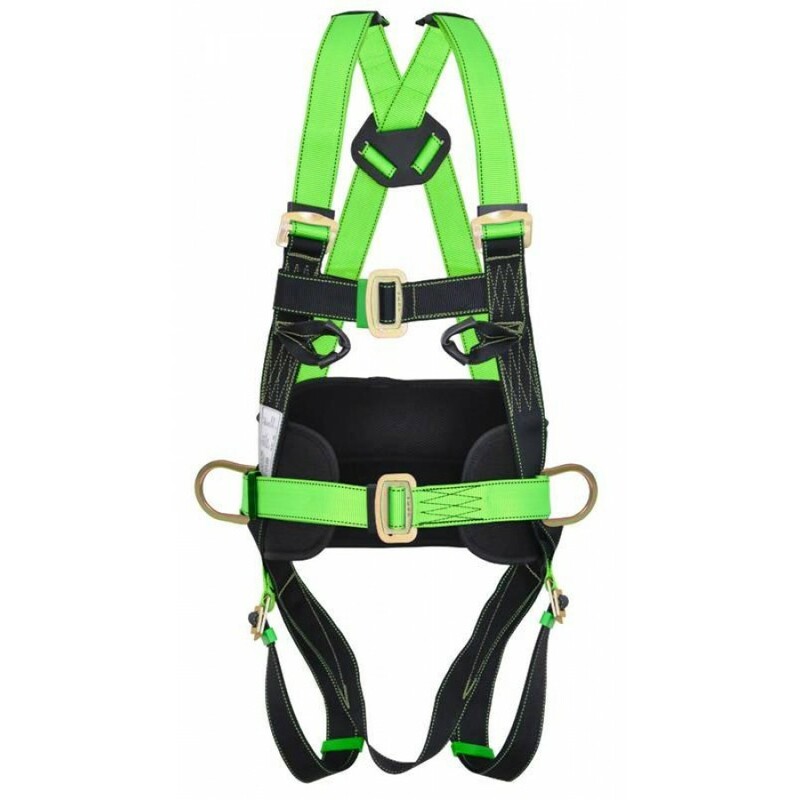 Convenience – Shoulder and thigh-straps differentiated by a dual colour scheme. Tool holder loops and rings at the back. Compliance – Conforms to EN 361:2002 and EN 358:2000. Also Available with Extension Band - Ref.PN 42 (01) (E).